With the OpenShift Dedicated command line interface (CLI), you can create applications and manage OpenShift projects from a terminal. These topics show you how to use CLI. 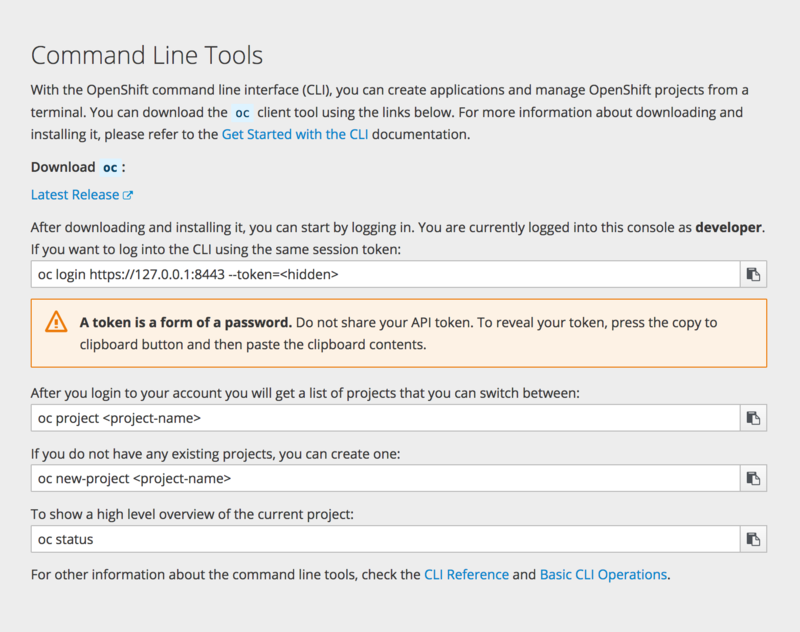 The command prompts for the OpenShift Dedicated server URL. The clusters section defines connection details for OpenShift Dedicated clusters, including the address for their master server. In this example, one cluster is nicknamed openshift1.example.com:8443 and another is nicknamed openshift2.example.com:8443. One of the fundamental capabilities of OpenShift Dedicated is the ability to build applications into a container from source. OpenShift Dedicated provides CLI access to inspect and manipulate deployment configurations using standard oc resource operations, such as get, create, and describe. Parse a configuration file and create one or more OpenShift Dedicated objects based on the file contents. The -f flag can be passed multiple times with different file or directory paths. When the flag is passed multiple times, oc create iterates through each one, creating the objects described in all of the indicated files. Any existing resources are ignored. The oc adm command (formerly the oadm command) is used for administrator CLI operations. The administrator CLI differs from the normal set of commands under the developer CLI, which uses the oc command, and is used more for project-level operations. Your login may or may not have access to the following administrative commands, depending on your account type.